Dallas Malloy, a piano virtuoso since 6 years old, grew up performing, also as a violist, composing music, writing poetry and novels. At 16, she made boxing history when she became the first female amateur boxer in the U.S. to have a sanctioned amateur bout, and win by unanimous decision. Until then, the U.S. Boxing Federation excluded females, so she filed a discrimination suit with the help of the ACLU, and forced them to set up a women’s division. She won in court, and in the ring-by unanimous decision. She later portrayed herself in the opening of Jerry Maguire, shadow boxing towards the camera as Tom Cruise narrates her true story. Dallas Malloy is a former champion bodybuilder, having won numerous titles including 1st Place and Overall Winner Tournament of Champions, Venice Best Back Award, Best Posing Awards, and 1st Place and Overall winner of the NPC California State Bodybuilding Championships. As an actor, Dallas Malloy studied the Stanislavski Method with Jamie Paolenetti at Atwater Playhouse. 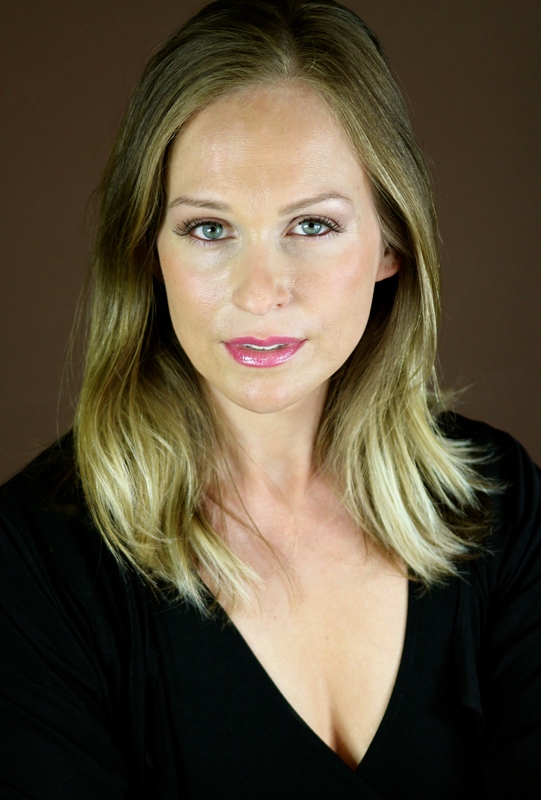 She has had extensive theater training, and played 7 different roles in Eavesdropper, LA’s longest running play. She broke ground playing male roles, including “Queenie”, the outspoken drag queen inmate in the gritty prison drama: Fortune and Men’s Eyes, and “Franny,” in Balm in Gilead, at the Underground Theater, and a major guest starring role on Eli Stone “Two Ministers” as Reverend Michael Stills. Dallas Malloy has been featured and co-starred in the films The ABCS of Death, Rule of Law, So Far so Kush, Dragon Slayerz, and Jerry Maguire. In television, she has co-starred, guest starred or been featured in True Blood, Burning Hollywood, Jimmy Kimmel Live, 1000 Ways to Die, Inside Edition and Conan. Rarely achieved, she has had numerous roles that were written in for her due to her unique qualities and out-of-this-world talent as a champion show stopper. send u a big kiss!! I was impressed by your acting at “Eli Stone” where you play a male pastor…even my female friends said : damn he is hot as pastor! I show them your pics as a competitor for bodybuilding and they said the same… she is HOT!! you see everywhere u will get the same comments and besides that…and most important…your talent is huge!! send you a big hug and 10000 kisses!! Wow! Dallas! You are truly amazing. In a word “Wow”! Dallas is amazing, so talented, and so committed to reaching her goals. She truly is an inspiration to anyone who thinks the odds are too great to overcome!!! Heyyyy Dallas! Just stoppin’ to let you know that you’re a huge inspiration! Keep going strong! Loved you in the interview with Ryan and in the Telephone vid! For your kindness, I thank you Dallas. The little keeper of the holy quail. Love your web site, power, strength, and determination! Dallas you are a great !!!!! You have the kind of energy that lights up a room. Thank you for being you! Dallas, thank you for being you! I am a genderqueer person married to a transgender man. Every time somebody who doesn’t conform to our cultural gender norms is visible and is courageous enough to talk about it, we get closer to full social acceptance. I wish I could to attend and participate with companionship beautiful, but long distance is the reason for the time being. May be in the future. And thank you for your kind invitation to me to wish you happiness and pleasure. I was lucky enough to see Dallas read an excerpt from an autobiographical book she is working on at an evening called Strong Words the other night. I was completely blown away by her writing. It is always difficult to avoid rambling when tapping into something that is that personal, but she did. Every passage offered a revelation on the subject of obsession and self discovery. Her ability to remain unpretensious, funny and rivetingly honest while sharing her remarkable life experience is astonishing. The material flowed from descriptive storytelling to elegant and dangerous detail with an effortless grace that made it an edge of your seat listening experience. It was my first time hearing her work but I can not wait to hear more from this gifted story teller. You are one cool woman!!!! you really are a talented actress.. you can really project emotion.. it just comes thru… a real actor can make other people feel THEIR emotions.. and that is what you seem to be doing.. must be the musician/artist within you..
entire neighborhood աill likely be thankful to you.